1955. 804 pages. 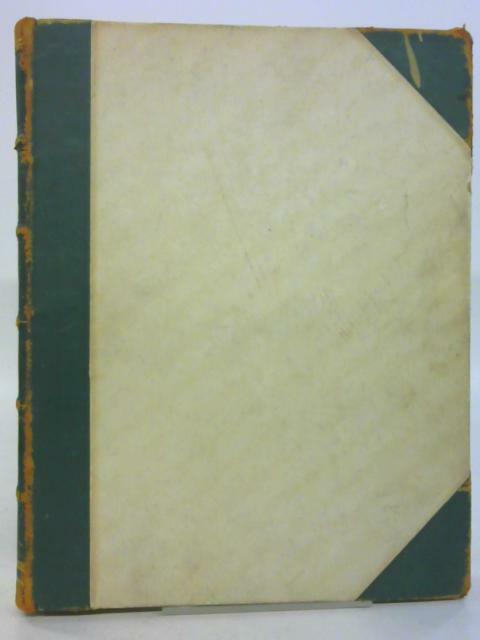 Cream boards half-bound in green leather with gilt titles to spine. All pages have a light vertical crease running down the middle. All pages are mildly tanned but the text remains clear. Text block edges are decoratively spotted with red, and have a few small dents. Cracked guttering at the front. The boards have several light rub marks in a few colours, three deep dents to the edges, lines of sunning, and scratches. The leather corners are scratched and wearing away, showing the boards below. Spine is worn, notably at the ends.